EU Prophecy News: Proof that Jesus Christ will return! Proof that Jesus Christ will return! How do we know Jesus will return? We are called to be able to give an answer for the hope that is in us. But what is this hope? The resurrection, Paul says, is God's way of proving to the world that Jesus will one day judge the world. In addition, the resurrection of Jesus is not some lone wolf event, nor a mere magic trick to prove that Jesus is God. 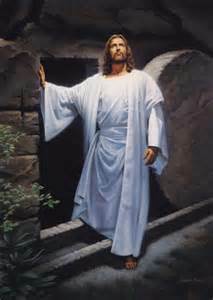 Jesus resurrection is the the "first fruits" of everyone else who will be raised at the Second Coming of Christ. The chapter of 1 Corinthians 15 very tightly binds Jesus resurrection with our own at the end of the age. Without the one, you cannot have the other. By his resurrection, Jesus inaugurates a new era of God's kingdom, that continues with the church, but eventually grows and reaches culmination when Jesus establishes his kingdom on earth. Christ's resurrection is the launch event of God's divine program that ultimately results in the resurrection of all who trust in him. Furthermore, the Messiah is meant to rule the world on David's throne as a human being. If Jesus had died (and stayed dead) like the other Messiah claimants in the first century, then the movement would have dissipated like the others, since a dead king is rather useless. But on the contrary, the disciples, despite their grief, experienced the surprise of his resurrection. This enables Jesus to rule on David's throne after all. Furthermore, God made an unconditional promise to Abraham that all the families of the earth would be blessed through him. Nevertheless, all humanity is under God's judgment because of sin. So how then can God fulfill his promise to bless all the families of the earth, when all the families of the earth deserve God's righteous wrath? (cf. 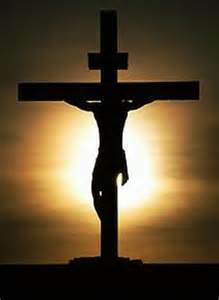 Romans) Again, the answer is Jesus, who by his crucifixion, takes the penalty for our sin upon himself. Without the forgiveness brought through the cross, everyone would be under God's judgment and there would be no inhabitants of God's future kingdom! When Satan thought he had the last laugh at the cross, is the precise moment when God made a public spectacle of the principalities and powers, (Colossians 2:15) enabling him to fulfill his promises after all. Furthermore, the resurrection vindicates Christ's sacrifice, placing God the Father's seal of approval on it. God's divine program still continues as planned. As Jesus predicted, the Gospel of the kingdom is being preached to all nations and has spread to every country on earth. Israel was reborn, and is coming under increased pressure. A very viable candidate for a revived Roman Empire (the EU) exists alongside Israel. It seems we are running out of new territory to actually send missionaries. Furthermore, Facebook intends to provide free internet for the entire globe, and has already tested a solar powered drone for this purpose. If the whole world has the Internet, then the whole world has the gospel. Surely, the Second Coming is near. If it is indeed the end times, we will suffer persecution. So all the more reason we should be sure of the hope that we have, so we don't back down under pressure. Below, I have compiled a list of videos, that I believe represent the the best evidence of God's existence and Christ's resurrection. Some of it is based on very new research on the Gospels. I have personally listened to all of these videos (excluding the Q&A portions). There are lots of apologists out there, and lots of Youtube videos on apologetics. But here, I specifically tried to compile the best evidence by some of the sharpest scholars that I have ever heard, all into one place. Evidence for Christ's resurrection is particularly invigorating, because it makes the reality and glory of the Second Coming that much more stark. Jesus really is going to come back. He really is going to set up a kingdom and build the New Jerusalem. It's not something vague we hope is true. They are the facts. And we can stake our life on Jesus as a result. Glory to our great God and Savior, Jesus Christ, forever and ever. Come Lord Jesus! Baldy here. Just want you to know that I appreciate all your hard work and diligence! Please continue to keep your eye on the ENP. Don't give up on the theory brother - as it still has a lot of viability. Just please keep in mind that it runs from 2014 - 2020; so 2018 should be very, very interesting! Thanks Baldy! Great to hear from you! Hope you are well. There are some interesting things going on with the 7 year budget for the EU (MFF). THey want to establish the European Defence Union around it. Nonetheless, the 7 year ENP with israel still exists. Perhaps Solana will provide a security guarantee to Israel for 2021-2028? What do you think brother?